Where Does The UK See Itself In 5 Years? Also, there’s Brexit. Anybody who tells you they definitely know what’s next for the UK is probably kidding themselves. But Quibbl has summarized the key takeaways you need to get a handle on what’s happening and what it means for the future of the UK and the global political system. Brexit! Now What?…Also called the Tories, The Conservative Party (the center-right party of former Prime Minister David Cameron and current PM Theresa May) has held a majority in Parliament since 2010. Ahead of the Brexit vote, they expressed reserved support for the “Leave” campaign that was championed by the right-wing populist UK Independence Party (UKIP) and its charismatic leader, Nigel Farage. After its Brexit success, UKIP dissolved almost entirely. Then David Cameron resigned and new Prime Minister Theresa May vowed to take up the mantle by pursuing a “hard” Brexit, a withdrawal involving maximum autonomy for England, in negotiations with the EU. Quasi-Civil War Within The Labour Party…Britain’s other major political faction, the Labour Party, seemed to be in general disarray leading up to and following the Brexit vote. Its leader Jeremy Corbyn faced just as much opposition from within his own party as he did from the other side, but remained atop the party’s leadership, without any clear, or politically popular, heir to replace him. Who’s To Blame?…The once-popular Prime Minister wasn’t the campaigner that Conservatives expected. She made misstatements that required clarifying on a weekly basis, including this bizarre answer to a voter’s question about the naughtiest thing she had ever done. By election day, May clung to a single-digit lead in most polls, while some even gave a slight edge to her opponent. 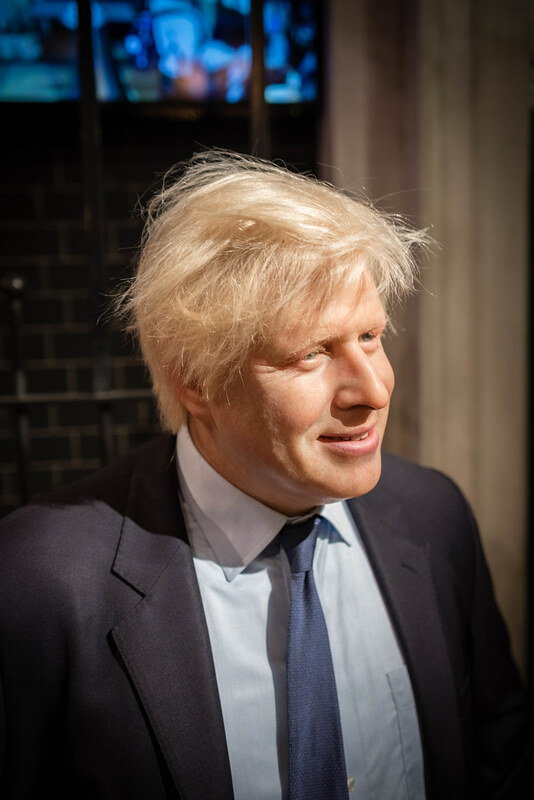 Theresa May is increasingly unpopular and rumors percolate that Boris Johnson, the outspoken former London mayor with moppy, light gold, Trump-esque hair, will take her seat at the head of the Conservative Party before the next election. Any hope of staying in power hinges on her ability to strike a deal with a Northern Irish political party that threatens to provoke the region’s violent political history. One misstep or disagreement between the Conservatives and the Northern Irish DUP could dissolve the government and force another national election this summer. US politicos are failing to realize how radical Corbyn is in comparison to American Democrats. After the London fire, he called for private rental homes to be seized for the displaced; good and understandable intentions notwithstanding, government seizure of private property hasn’t exactly taken root in America’s heartland. Corbyn is now probably the most popular politician in Britain, whether you measure by polls or by music festival chants. Will we see Brexit accelerate pace? While the UK remains on track for a 2019 exit from the EU, some Labour and “Stay” supporters are arguing that these results warrant a second Brexit vote. That remains unlikely, but if the Conservatives lose their coalition government, things could get even more interesting. Britain may already be feeling the ramifications of its political situation on its bargaining power in Brexit talks: on the first day of negotiations with the EU, the UK was forced to agree to an EU negotiation schedule. Will Theresa May still be the Prime Minister when the sun rises on August 1st? Per Politico, the good news is that May only faces one major problem going forward. The bad news? It’s that she doesn’t have the support of her people. Let us know if you think she’ll rally or be replaced. Specifically, May needs to meet the demands of an ultra-conservative Northern Irish political party to form a coalition government. While most think a deal will be reached eventually, the longer the negotiations play out the more stories can be written about what a fiasco the whole process has been. Will she be able to settle this round of talks quickly in order to focus on the larger Brexit issues? After the first poll ever that showed him as the favored choice for Prime Minister, Labour leader Jeremy Corbyn wasted no time in leveraging the one-point YouGov poll victory over Theresa May into a push for an early general election. Corbyn has already won the Glastonbury caucus, but will be able to bolster his support beyond the youth vote and sustain the momentum? As if they needed more going on, President Donald Trump was expected to make a state visit the UK in the near future. Reports that such a visit would be met with protests and no customary mention of the visit during the Queen’s annual speech before Parliament have left some to question whether Trump’s trip to the UK will happen.